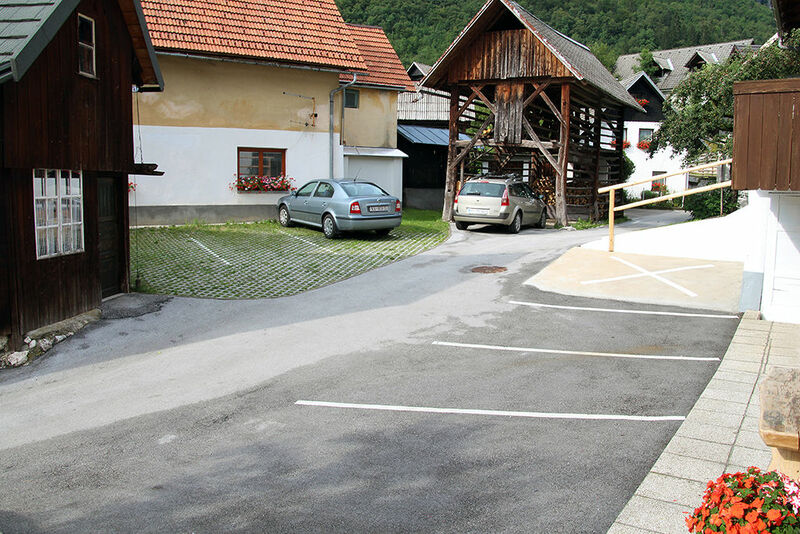 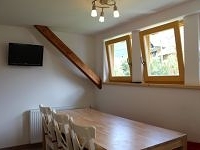 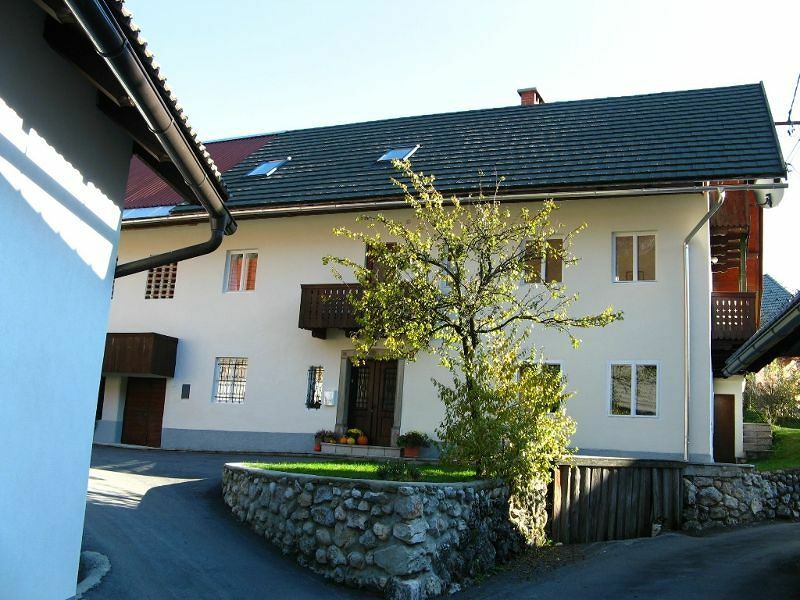 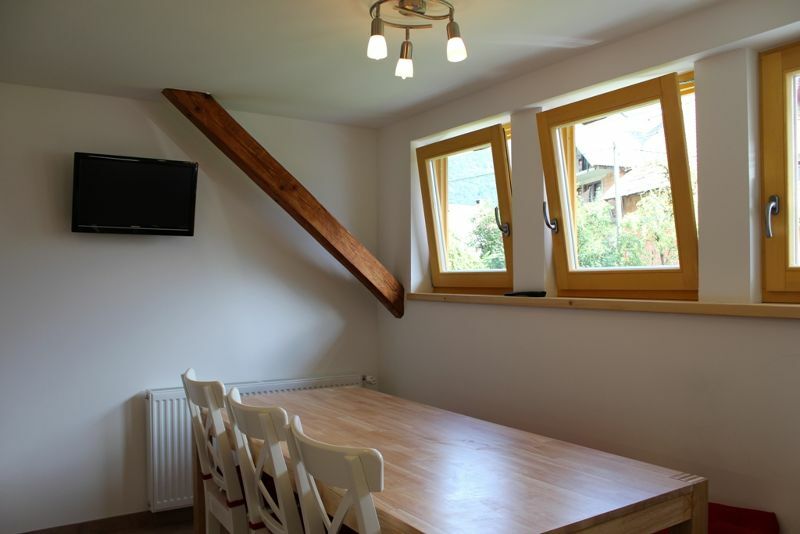 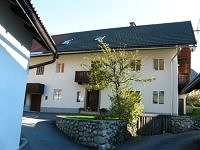 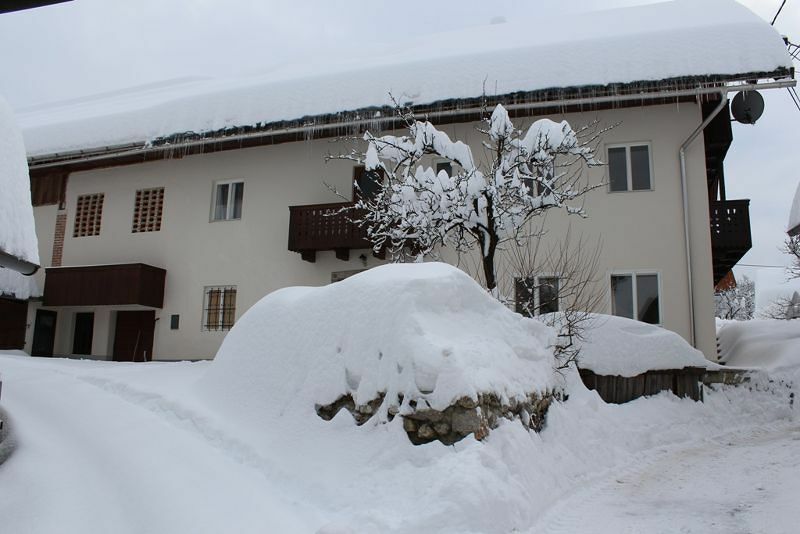 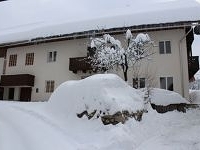 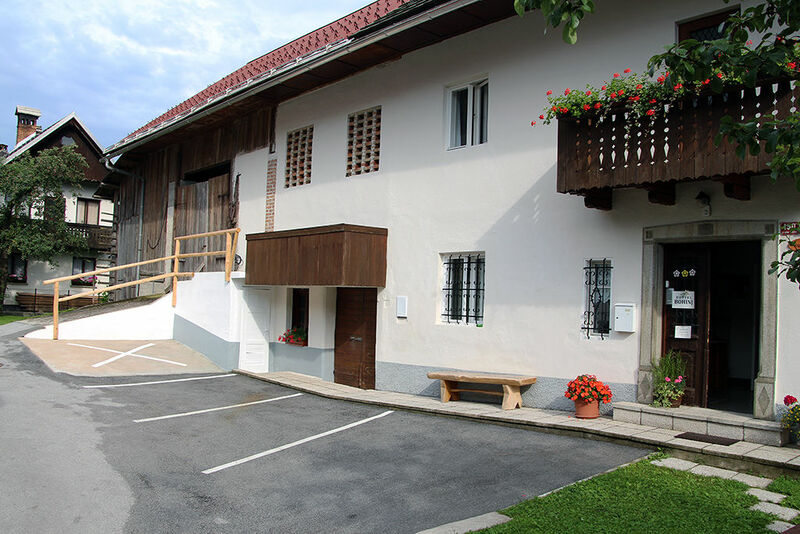 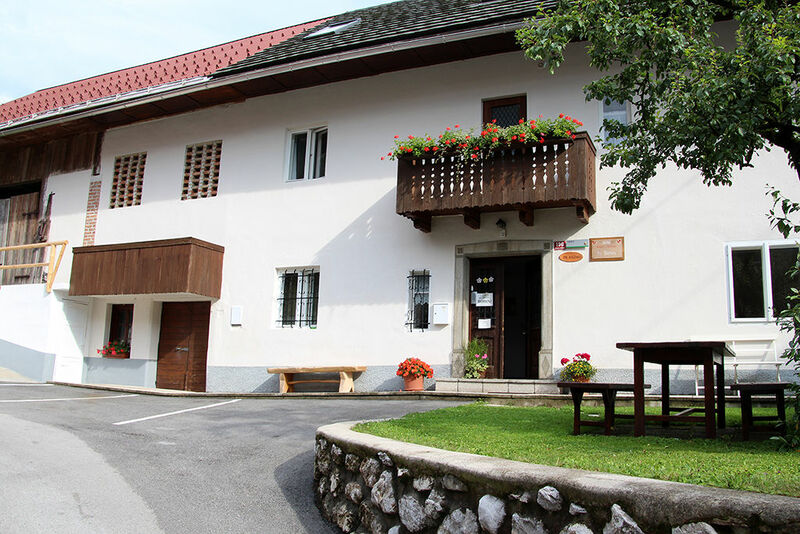 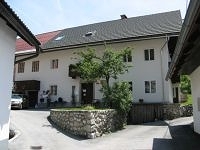 Rooms & apartment "Hostel Bohinj" are located in the center of an tipical alpine village Stara Fuzina. 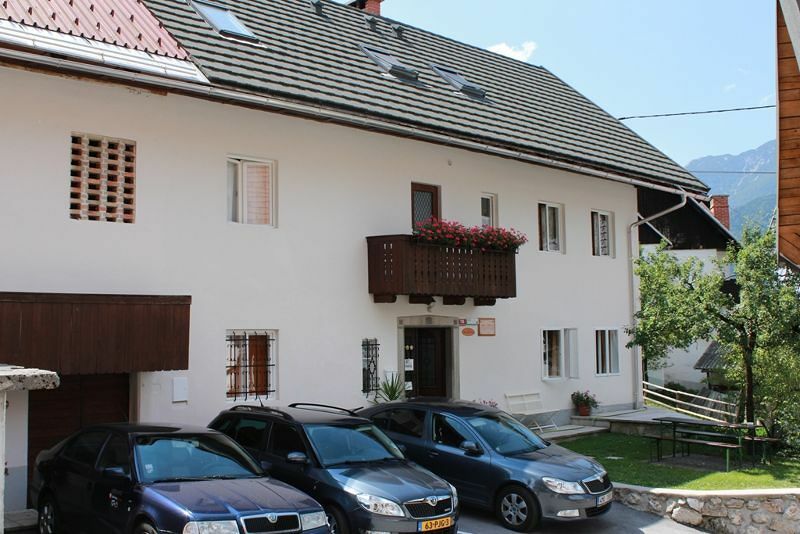 In "Hostel Bohinj" there are 6 rooms (5 x double and 1 room for 4 persons) on the first and second floor and can accept up to 15 people. 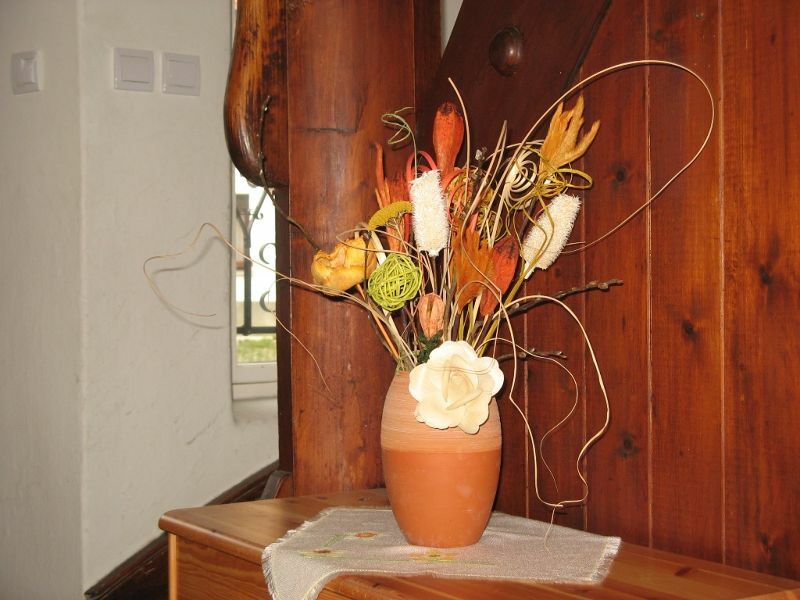 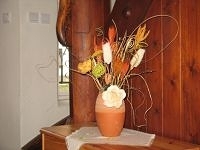 Rooms are neat and simply decorated in alpine style; there is a wash-basin with hot water in every room. 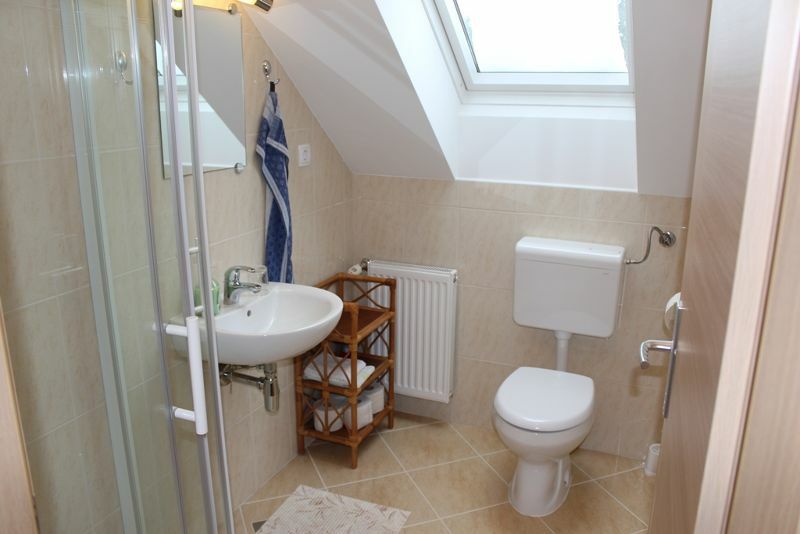 There are 3 bathrooms, all co-shared with other guests. 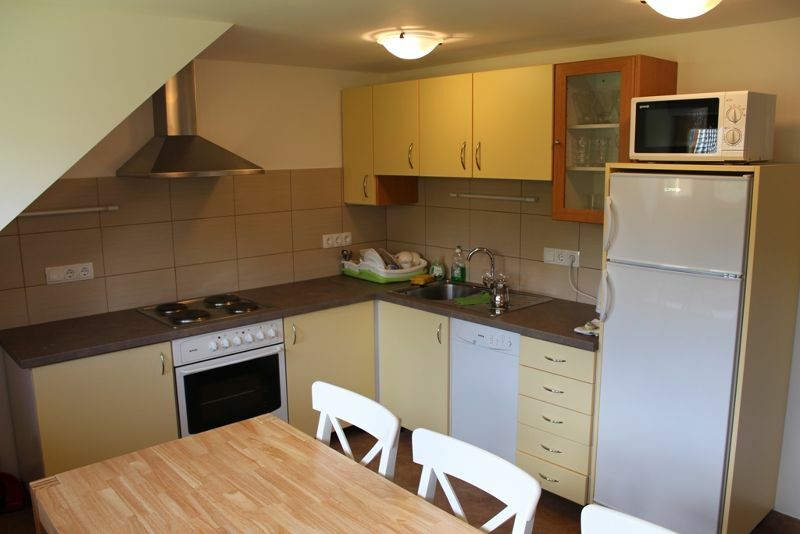 Three rooms on the first floor share the "kitchen" facilities on the hallway (fridge, 2 rings electric stove, microwave, plates, cutlery, ... ). 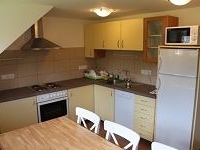 We have another kitchen on the top floor but it is not available when we rent the whole floor as one unit apartment. 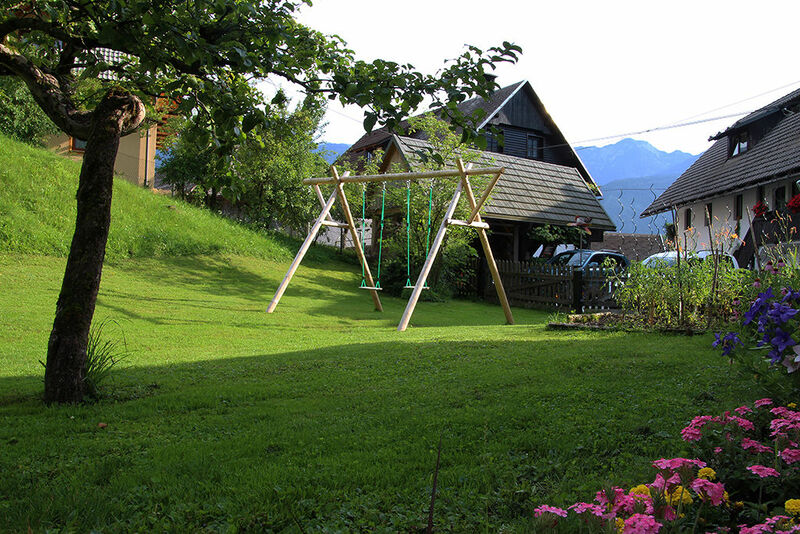 On the front yard there is enough space for your car and a place to sit or have a BBQ. 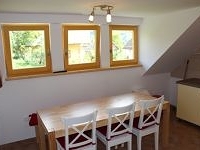 Use of WiFi is free of charge, for extra charge it is possible to rent mountain bikes. 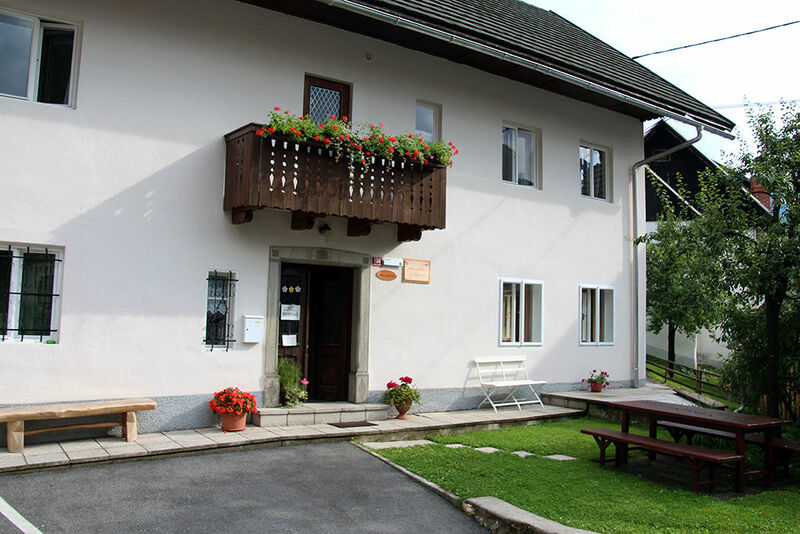 We will gladly advice you in choosing interesting trips (walking or cycling) and provide you with all information about things going on in Bohinj. 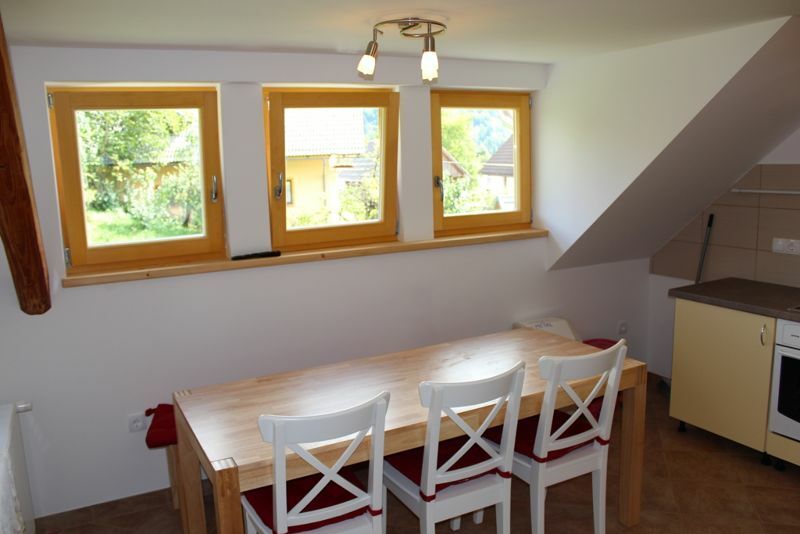 IT IS ALSO POSSIBLE TO RENT THE HOUSE (up to 15 people)!